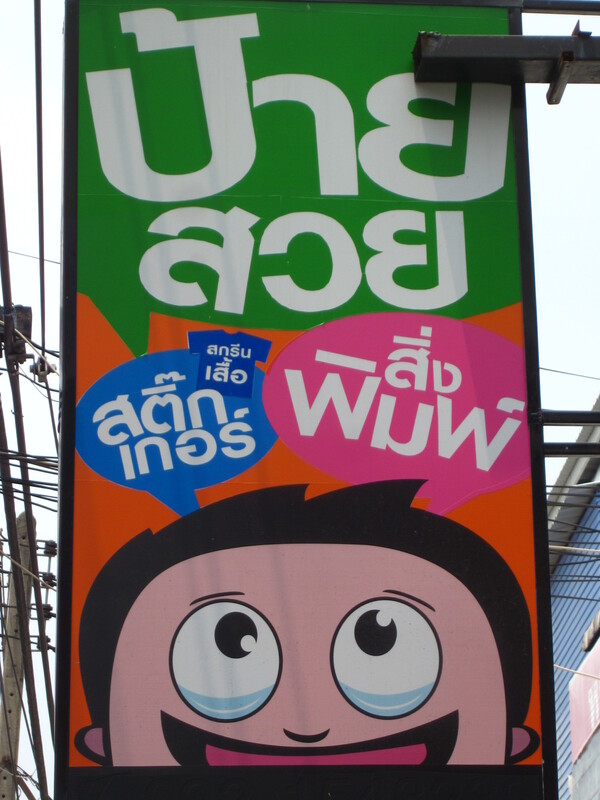 Can you spot the Thai word that’s got an English cognate? 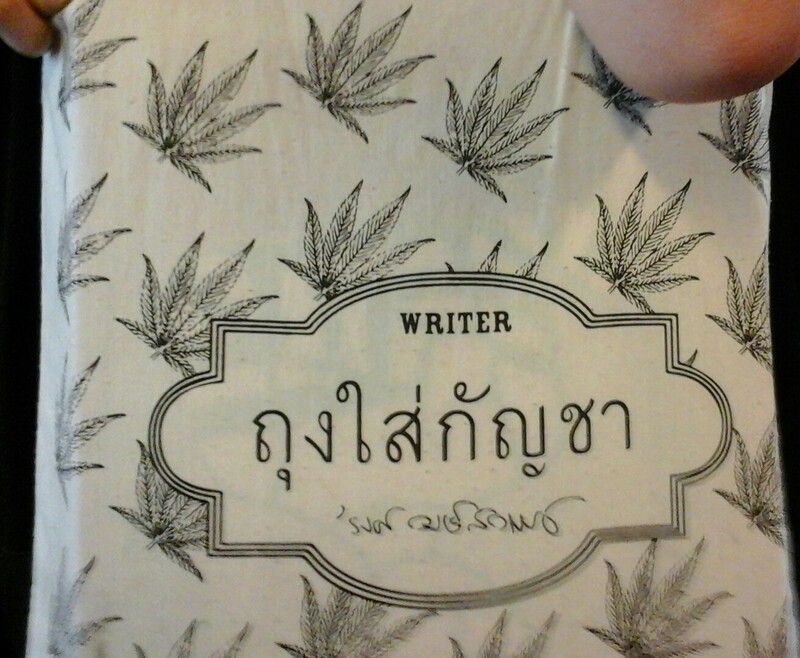 This entry was posted in English, language learning, Thai language, words, written Thai and tagged รงค์ วงษ์สวรรค์ Rong Wongsawan, cognates, drugs, hindi, loanwords, sanskrit, second language acquisition, writers on 27 March 2015 by adamf2011. 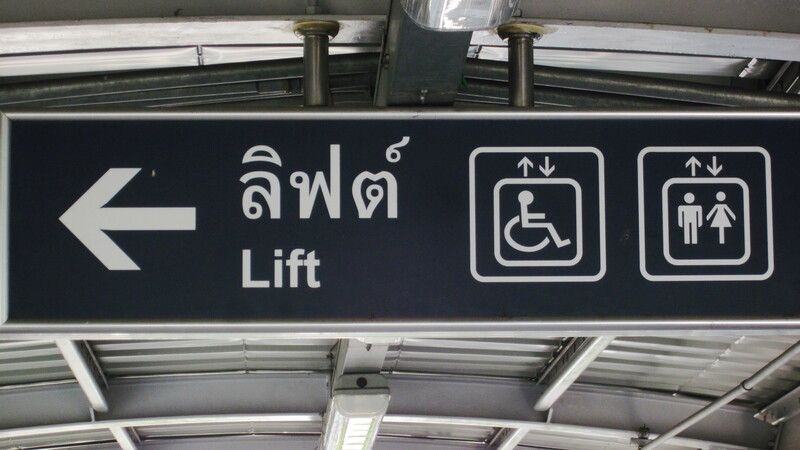 Sign from within the Bangkok BTS skytrain system. This entry was posted in Bangkok, English, language learning, Thai language, Thai sounds, words, written Thai and tagged BTS skytrain, loanwords, second language acquisition, signs, technology, transliteration on 7 November 2014 by adamf2011. This entry was posted in English, provinces, Thai language, written Thai and tagged Isaan, loanwords, second language acquisition, signs, transliteration on 16 May 2014 by adamf2011. Stay Foreign Or Go Native? Toward the end of my recent post on inadvertently obscene mispronunciation, I noted that Thai syllables cannot end in the S sound, and that native Thai speakers find this “terminal S” difficult or impossible to pronounce – unless, of course, they’ve learned English (or, presumably, any foreign language which can end a syllable in S). Uh-oh…video clip no longer available, see note in the update below. This entry was posted in English, lakorn, speaking Thai, television, Thai language, Thai sounds, video clips and tagged วุ่นนักรักเต็มบ้าน Full House, differences between Thai and English, loanwords, second language acquisition, sound of spoken English on 7 May 2014 by adamf2011.